It’s been on the news and in the local newspapers. Troy Reeves & The Reeves Team like to share information on what’s happening in the Valley to help potential clients have an idea on how things could affect the local housing market. FedEx Ground has broke ground on a 302,000-square-foot package distribution center on the south side of the Chandler air park. The facility, will open in August 2015 and is expected to bring 200 jobs to Chandler. 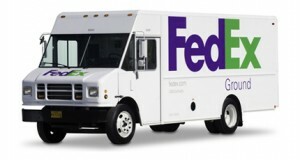 According to news reports this facility is part of FedEx Ground’s nationwide expansion plan. The company’s expansion has accelerated FedEx Ground’s service by at least one day to several domestic locations with the last 10 years. As the southeast valley continues to grow, FedEx feels this facility will help them handle the growth. There are several companies looking at Chandler sites due to the growing number of population. FedEx Ground felt the Chandler site would be a good location to recruit future employees. Previous Previous post: Things to do in the valley when temperatures are over 100 degrees! Next Next post: Monsoon/Haboob Season Is Approaching In Arizona!